Cookies are widely used in order to make websites work, or work more efficiently. 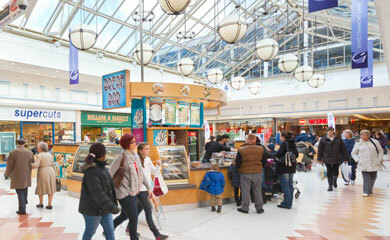 They provide us with information that helps us improve our site www.graysshoppingcentre.co.uk and deliver a better service. site usage information, using cookies.If you send an enquiry by e-mail to either a specific contact or a general enquiry, we will only use your personal details obtained from your enquiry to respond to your query. If you submit a general enquiry we will retain your contact details for the sole purpose of helping us to improve the quality of our services.